Happy 21st Anniversary Irvine Park Railroad! It is NO secret that we love IPRR. 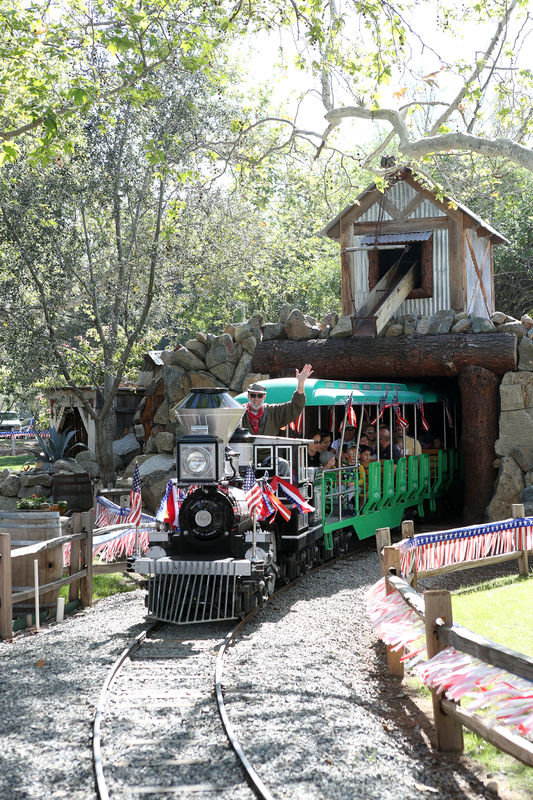 We have been visiting Irvine Park for over 40 years and have been right along side the Irvine Park Railroad since it started. It is kind of a tradition for us to visit and as often as possible. There are events throughout the year and in the down time it's fun to just take the train for a ride and walk around the park. We are so excited to Celebrate 21 years of smiles & family fun at Irvine Park Railroad and we are even more grateful to bring you an awesome giveaway! * Bounce House and MORE! Follow along and join in on the social fun with hashtags #IrvineParkRailroad and #IrvineParkFun !